"Beauty comes as much from the mind as from the eye." Maybe you have been unhappy with your nose for as long as you can remember, or perhaps you are having difficulty breathing; either way, rhinoplasty, or nose reshaping, may be an option for you. Rhinoplasty can change many things about your nose, including your nose size (in relation to your face), nose width at the bridge, the size and position of the nostrils, and nose profile (by downsizing visible humps, bumps or depressions on the bridge). Some plastic surgeons specialize in ethnic rhinoplasty, a great option for people of different ethnicities and backgrounds who are looking for a subtle change to their nose. Rhinoplasty can also reshape the nasal tip, improve the appearance of large, wide or upturned nostrils and correct nasal asymmetry. From a functional standpoint, rhinoplasty can correct certain breathing difficulties such as those due to a deviated septum. Rhinoplasty is also an option for certain birth defects and for noses that have been injured in car or sports accidents. Rhinoplasty is a surgical procedure designed to reshape the nose. 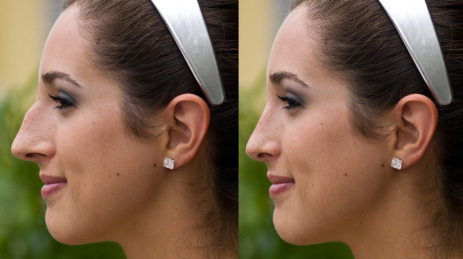 Sometimes referred to as a "nose job", it can be performed to correct a structural deformity (such as a bump or hook), to improve your appearance by making subtle changes to nose size and shape, or to correct a functional problem (such as difficulty breathing due to a deviated septum). The septum is the wall between the two nostrils. Composed of cartilage and bone, it divides the nasal cavity into halves. The ideal nasal septum is straight, separating the left and right sides of the nose into passageways of equal size. In contrast, a deviated septum occurs when the septum is shifted away from the midline. In severe cases, a deviated septum may cause difficulty breathing through the nose. Your surgeon will likely give you a list of instructions before you undergo rhinoplasty. In general, there is no eating or drinking after midnight on the evening before. If you smoke, you should quit in advance of your nose surgery. Your surgeon may be able to provide tools to help you quit. In addition to all the other negative health effects associated with smoking, it severely compromises blood flow to the skin. This means there is less oxygen to aid in wound-healing, and necrosis (death) of skin can occur. Drinking alcohol during the week before rhinoplasty is also discouraged, as alcohol can also impair the healing process. Your surgeon may also discuss discontinuing certain medications in the days or weeks leading up to your rhinoplasty. For example, non-steroidal anti-inflammatory drugs (NSAIDs) such as ibuprofen can increase the risk of bleeding. While considered natural, certain vitamins and herbal preparations such as Vitamin E, gingko biloba, omega-3 fatty acids and green tea can also increase the risk of bleeding. Tell your surgeon about everything that you are taking. Never stop taking any medications without first discussing it with your doctor. Some surgeons may prescribe homeopathic therapies before your rhinoplasty, such as arnica (an herb that can minimize bruising). Some surgeons also prescribe steroids before rhinoplasty to decrease the initial swelling. Rhinoplasty is a nose-reshaping plastic surgery. There are several types of rhinoplasty, including two types of primary rhinoplasty ("open" and "closed"), secondary rhinoplasty and filler rhinoplasty. Open Rhinoplasty. For major nose reshaping, the incisions are made in the vertical strip of skin separating the nostrils. This is called the columella. The skin and soft tissue are then elevated off the underlying structures of the nose so the surgeon can see the nasal anatomy. Closed Rhinoplasty. For minor reshaping, many surgeons make incisions within the nose. The skin of the nose is then separated from the bone and cartilage, which form its supporting framework. Once exposed, bone and cartilage can be removed, reshaped, augmented or rearranged to achieve the desired new shape. Secondary Rhinoplasty. Also called revision rhinoplasty, this is performed to correct problems that persist or develop after a previous rhinoplasty. Although the problems may be minor and easily corrected, often the problems are major, which makes the secondary rhinoplasty more difficult. Secondary rhinoplasty can be done as an open or closed procedure. Filler Rhinoplasty. This involves the use of injectable fillers to fill depressions, smooth out sharp angles or change the angle of the tip of the nose, restoring symmetry and making your nose appear smaller and more attractive. Instead of removing a bump, a surgeon would use an injectable filler to even it out. The results are not permanent. Some plastic surgeons may use injectable soft tissue fillers such Juvederm, Restylane or Radiesse, to smooth out post-nose job irregularities. An evaluation with a surgeon is the first step in your decision to undergo rhinoplasty. During this meeting, your chosen surgeon will likely take photographs of your nose at varying angles. He or she will also talk to you about your expectations to make sure that they are realistic. It may be a good idea to bring photographs of noses that appeal to you to aid the dialogue about expectations as well as to give the surgeon a better idea of what you want out of your rhinoplasty. In addition, your surgeon can show you photos of other rhinoplasty patients with similar nose shapes, which can help you better understand the likely results. Many surgeons offer sophisticated 3-D and even 4-D computer imaging to show you how your nose will look after rhinoplasty. If you are having rhinoplasty, you may also need to consider other facial procedures to achieve balance and proportion. For example, chin augmentation is often performed with rhinoplasty. Most rhinoplasties are performed on an outpatient basis in a hospital or surgical suite. 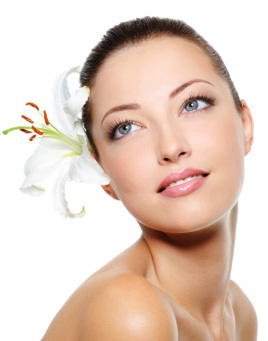 Exactly how long the procedure takes depends on the type of rhinoplasty that is performed. For example, a primary rhinoplasty normally requires one to three hours in surgery, while a revision rhinoplasty can take much longer. A filler rhinoplasty can take just 15 minutes. Anesthesia.Your surgeon will likely recommend local anesthesia with some sedation or general anesthesia for your primary rhinoplasty. A secondary rhinoplasty may involve general anesthesia due to the complexity of the procedure. A filler rhinoplasty requires just local anesthesia. The Incision. Surgery of the nose is performed either using a closed procedure (where incisions are hidden inside the nose), or an open procedure (where an incision is made across the columella). The surgeon then raises the soft tissues that cover the nose through these incisions. This provides access to reshape the structure of the nose. The reshaping. Your surgeon can reduce or augment nasal structures with cartilage grafted from other areas of your body. These pieces of cartilage can come from the septum or occasionally from the ear or the rib cartilage. If the septum was deviated, this should straighten it. In addition, any projections inside the nose will be reduced to improve breathing. Closing the incision. Once the underlying structure of the nose is sculpted, the nasal skin and tissue are redraped and the incisions closed. A cast or splint may also be applied. You will probably be excited, if not anxious, to see your new nose, but patience is key after rhinoplasty. Complete results are not immediate and can take up to one year to be fully evident. You may be unable to breathe through your nose for the first 24 hours due to swelling or nasal packing (if used). There may be some discomfort, which can typically be controlled with pain medicine. Most people who undergo rhinoplasty can stop pain medication after 48 hours. Some people may have an upset stomach after the surgery; anti-nausea medication may be helpful. You may experience limited bleeding during the first few days. Your surgeon may also tell you to apply a cold compress to your nose to reduce swelling and to elevate your head for the first 24 hours. It is important to avoid any trauma to the nose during the first week after surgery. Blowing your nose is not permitted after rhinoplasty. This can be tough, as you may feel stuffy. Decongestants may help. On about day seven, the cast or splint is removed. Your nose will still be swollen, but after two weeks much of the swelling will have decreased. At this point, all nasal packing, splints and other post-surgical dressings should be removed. A splint may be placed over the outer part of your nose to protect your nose as well as help it hold its new shape during the healing process. The surgeon may also place a softer splint inside your nose to prevent scarring. By one month after surgery, approximately 85 percent of the swelling will have gone down. The remaining swelling may take up to one year to subside. For this reason, you should wait at least one year before undergoing revision rhinoplasty. Contact Dr. Harry Marshak for a consultation.